This drink has all of the flavors of Fall, but is still clinging to that last bit of summer with its frozen delivery — so really, it is the best of both worlds! 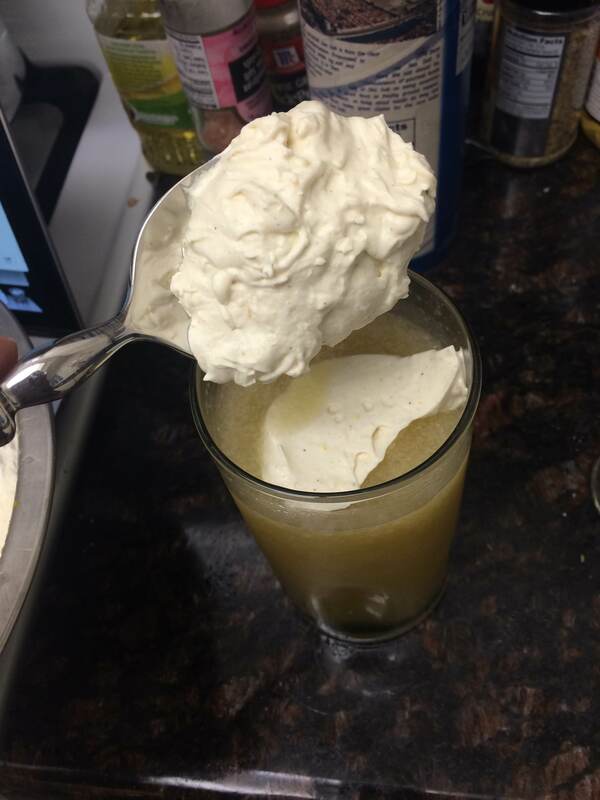 Furthermore, the drink includes an absolutely delectable dollop of homemade spiced whipped cream–which adds a teensy bit of work, but pays off like you cannot believe. So let’s get into this thing, shall we? 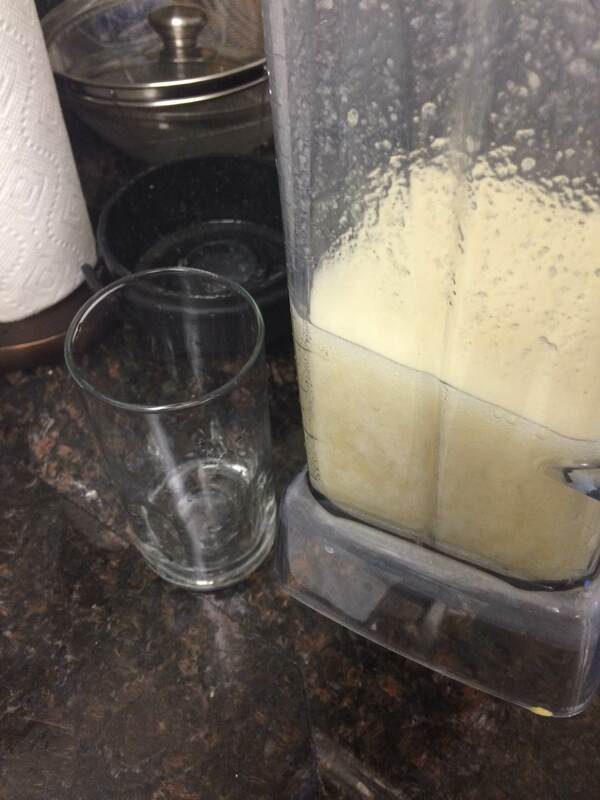 Note: making this drink requires a blender and electric beaters. 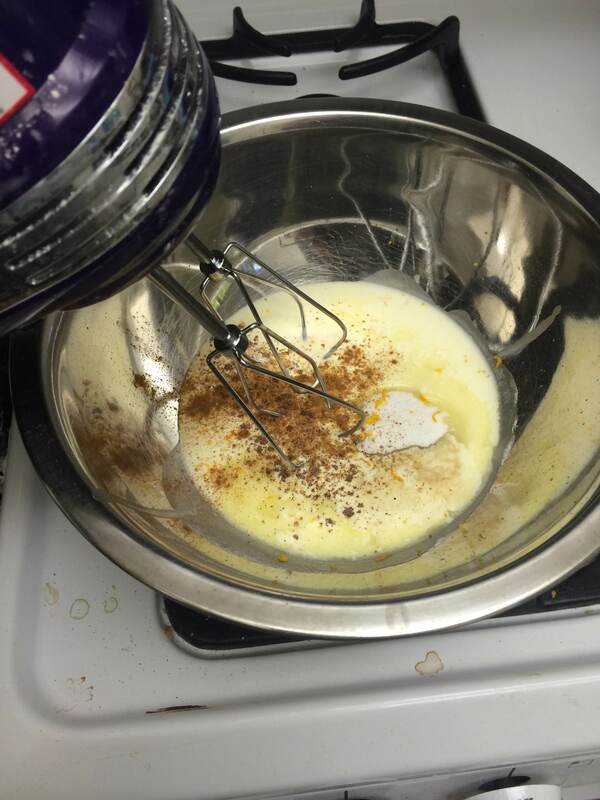 First, gather your ingredients for the whipped cream, plus a medium mixing bowl and electric beaters. Combine all of the ingredients in the bowl–as we said above, you really can guesstimate about all of these measurements (outside of the amount of cream and sugar). We recommend using more cinnamon than the other spices, but if the other flavors really speak to you, you can adjust accordingly. 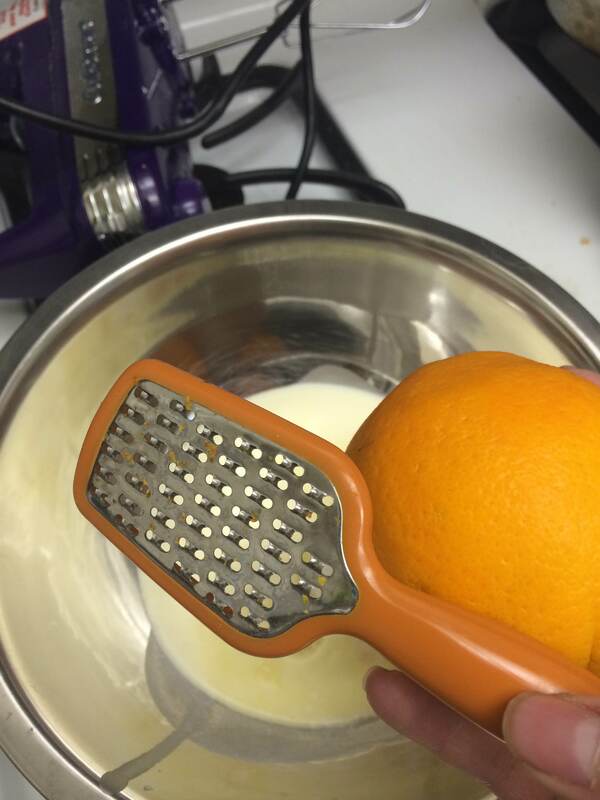 To get the grated orange zest simply take a (washed) orange and use a small spice grated (or the smallest section of a box grater) and grate off a small amount of zest. 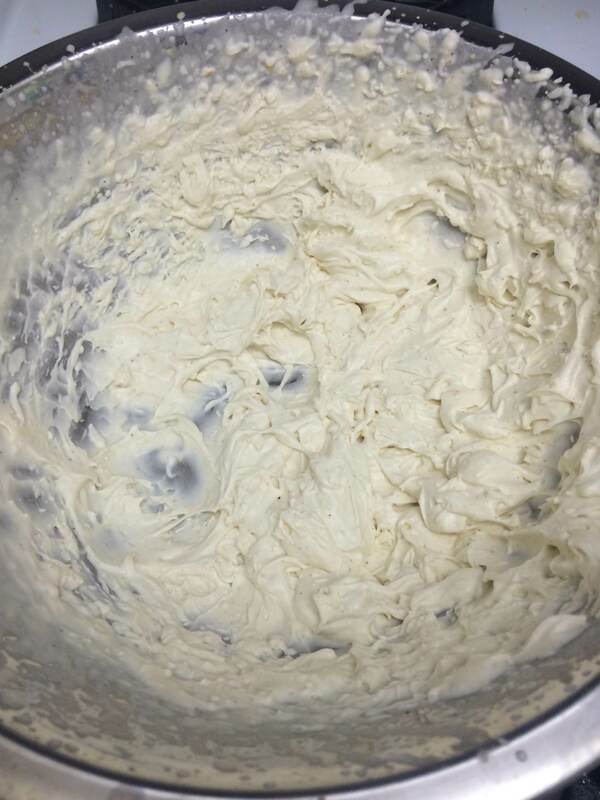 Once all of the ingredients are in the bowl, beat on high until the mixture achieves the consistency of whipped cream. Refrigerate until you are ready to use. This will make enough for about 2 drinks. Editors note: this whipped cream is delicious on pies and other desserts, so go ahead and make extra! Now let’s move on to your drink! 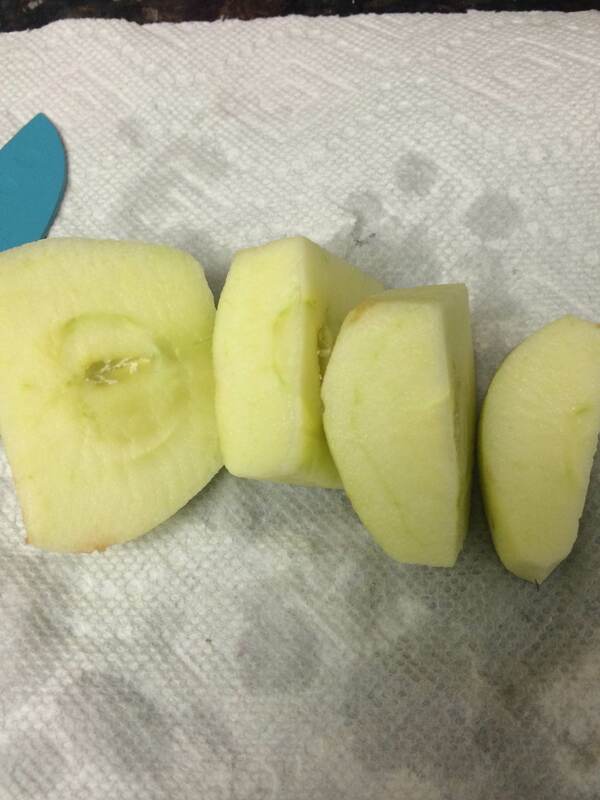 First, peel your apple and roughly chop it before placing it directly into your blender. 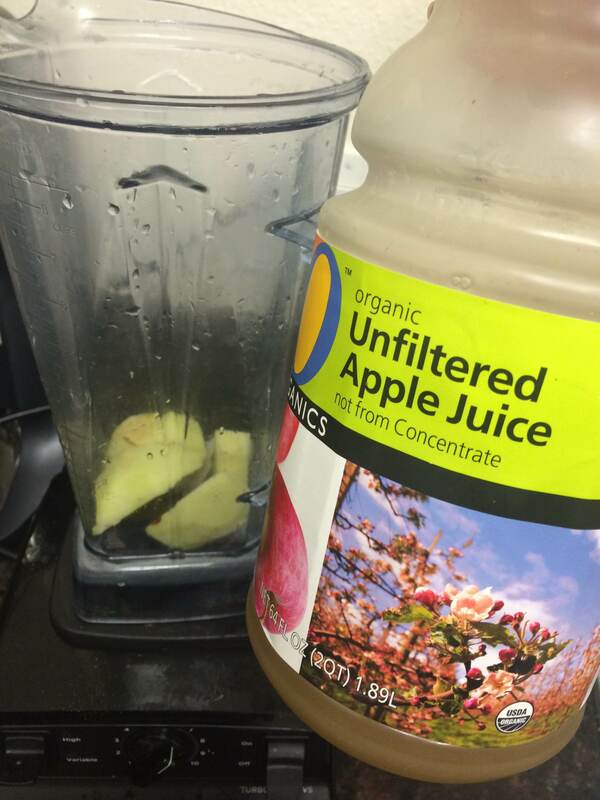 Follow that up with 2 oz of your favorite apple juice. We prefer to use the unfiltered variety, but if Mott’s is your thing, we support you. Now add in your 1 oz of cinnamon syrup. For a refresher on the recipe, click here. Now it is booze time! 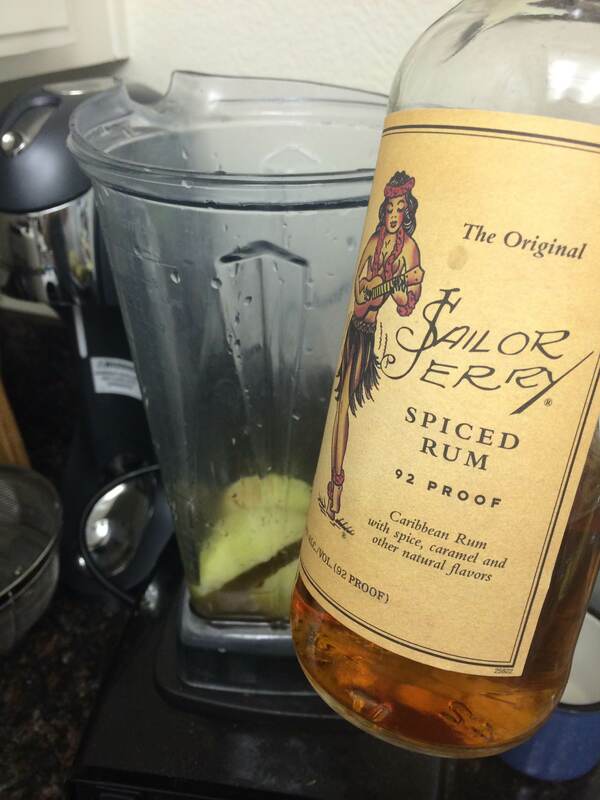 Add in your 1 1/2 oz of spiced rum. Finish it off with 1/2 oz Grand Marnier and 1/2 oz Falernum. Top everything off with a cup of ice, and then blend on high for about 10-15 seconds. The consistency should be slushy, not completely frozen. 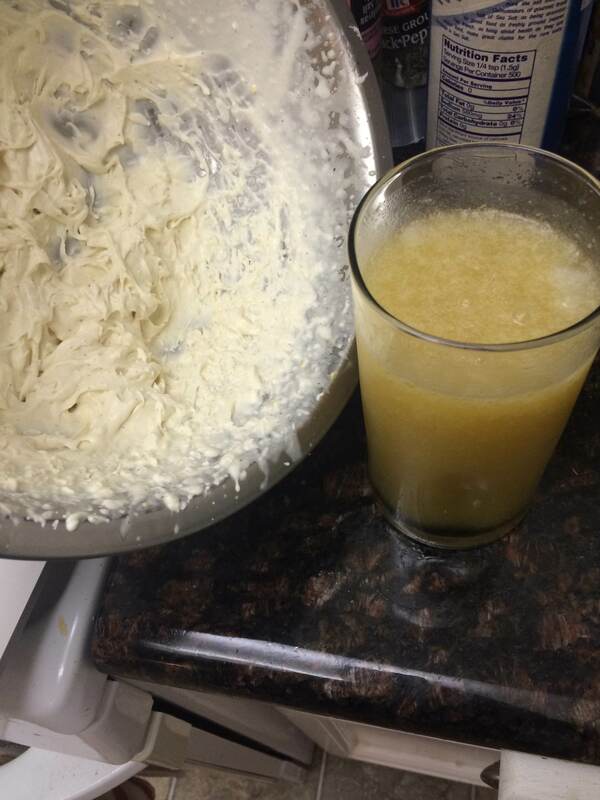 Pour the drink into a tall glass, leaving a bit of room at the top for your whipped cream. Using a spoon, place a generous amount of whipped cream on the top of your drink. Add a straw, and you are set! 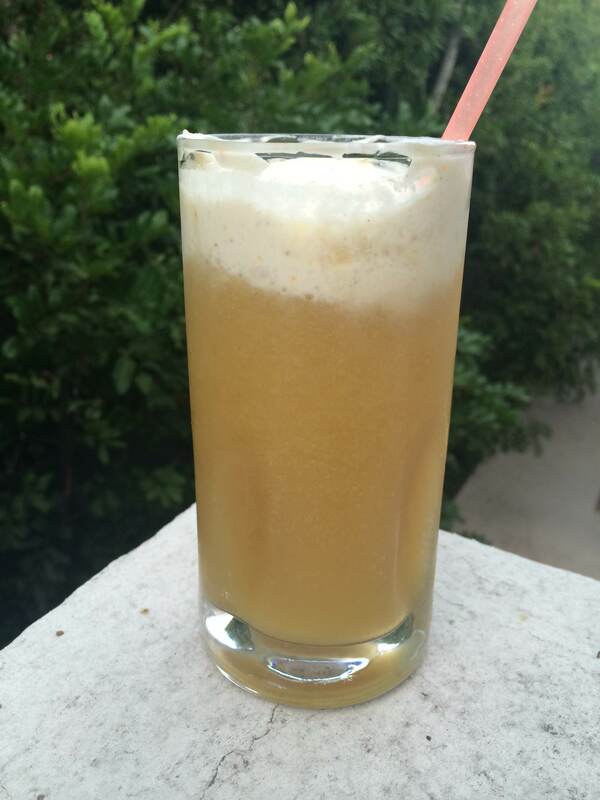 This drink pulls in flavors of citrus, apple, and spice — the perfect Fall combination! 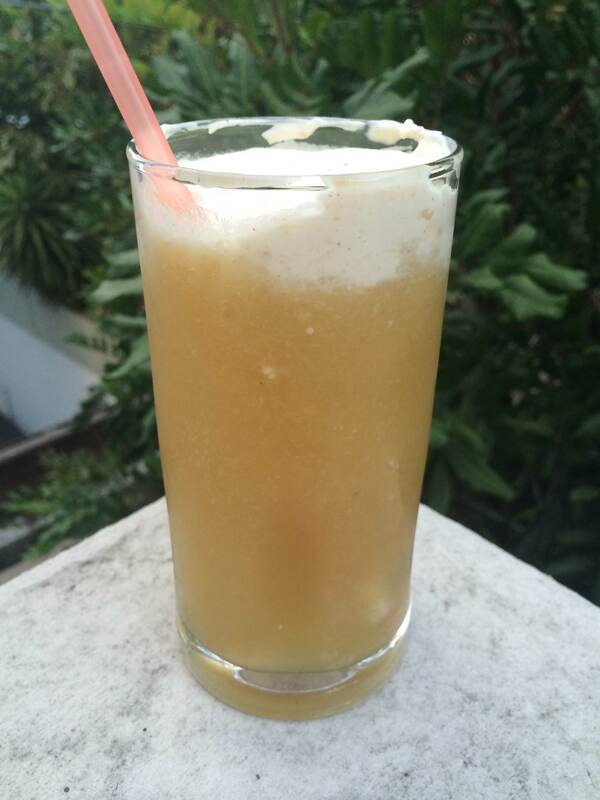 We have to be honest, we are completely in love with this drink right now, and we think you will be too! 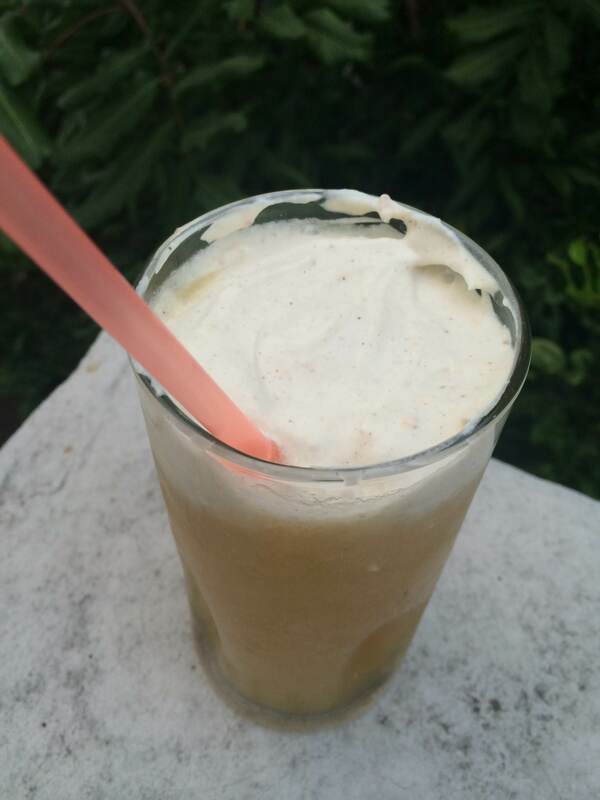 This entry was posted in Monday Funday and tagged apple, autumn, cinnamon, diy, Falernum, fall, grand marnier, homemade whipped cream, orange zest, original creation, original drink, sailor jerry, slushy, spice, spiced rum, whipped cream by kellyatthebar. Bookmark the permalink.